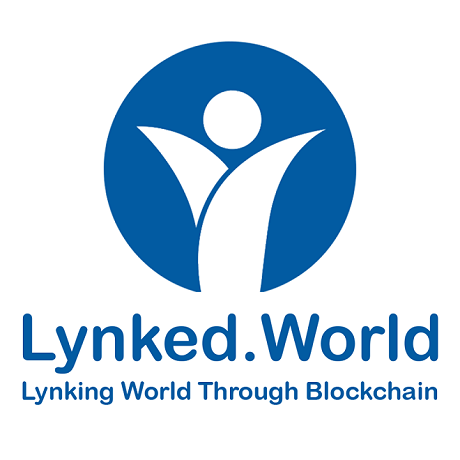 Here at Lynked.World, our driving principle is to overcome the “trust barrier” in digital identities, data and documents with the help of our blockchain-based application development platform. 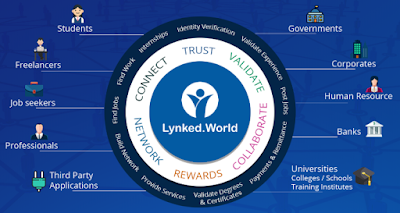 Lynked.World is blockchain-based secure platform for individuals and institutions to own, control, and share identities, data and documents that can be trusted digitally. 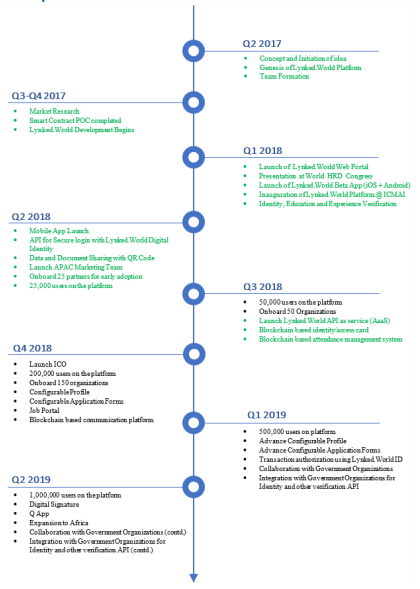 Lynked.World’s eco system is a multi-faceted solution consisting of all application platforms developed from the bottom up to be able to take advantage of blockchain technology features. Our platform is based on the Ethereum blockchain and consists of feature-rich modules that solve real-life problems around the trust and authenticity of digital identities, documents and data for both consumers and companies. Lynked. World digital wallets are an easy way to store personal identification and other documents such as Passports, SIMs, Medical Records, Degree Certificates, and more on your mobile device. These documents can be verified safely on the blockchain. Our Digital Wallets allow users to own and control their digital information and share identity, documents and data directly with other entities such as companies, institutions and businesses in a safe and comfortable way. Organizations can add this digital form to their own profiles on Lynked.World or publish this form on an external platform using our API. Whenever the user applies to any services offered on our platform, digital forms are automatically filled with data from the user’s Digital Wallet. Any required documents are also automatically attached to digital forms. 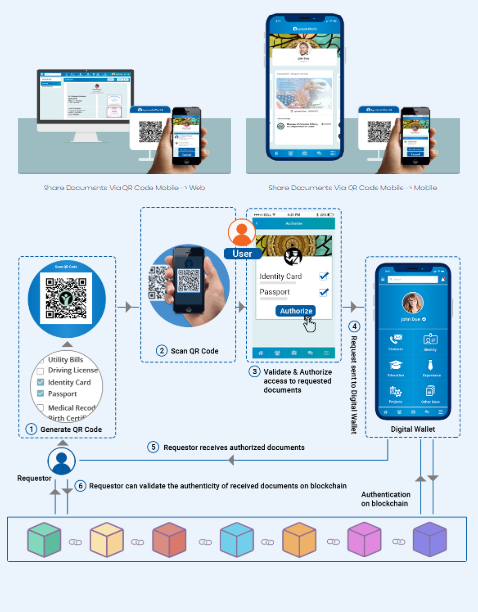 In the case of applying for services hosted on an external platform, data and documents are filled after the user scans a QR code that summarizes the form details and is seen on an external platform. The user must then sign a digital application form to complete the application process. Digital signatures are also stored on the blockchain. Once applied, the data needed along with the document is submitted with the user’s digital signature. Organizations that provide services now receive digital applications with requested documents and can also verify the authenticity of identities, documents and signatures on the application form directly on the blockchain. Our digital identity solution greatly eliminates the risk of fraudulent online transactions by indisputably identifying someone who utilizes the power of blockchain. Banks, financial organizations, and even online retail services can take advantage of our application features to ensure that online payments, withdrawals, etc., are genuine and not done using a lost or stolen card or / or identity. 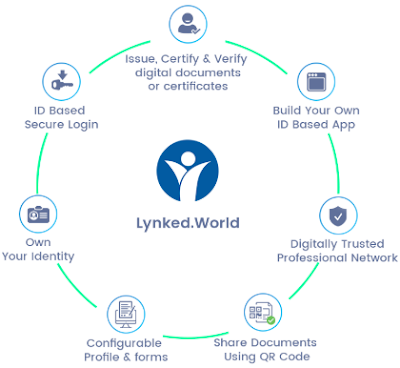 Online transactions cannot be completed until the user confirms his digital identity using our Lynked.World mobile application making transactions over the internet much safer and more reliable.